Match preview, betting tips and enhanced odds for United's trip to Fulham. It was always inevitable that the departure of Jose Mourinho would at least in part lift the cloud over Old Trafford and provide some freedom for our most creative players. We’re certainly playing on the front foot more, taking the lead in nine of Ole Gunnar Solskjaer’s 10 games in charge so far and long may it continue. The proof is in the pudding, with victory at the King Power leaving us with five consecutive victories on the road for the first time since the days of Sir Alex Ferguson. Much of the focus of late has centred around the improved showings by Marcus Rashford and Paul Pogba, but crucially they’ve been given license to wreak havoc by the greater balance in the team. Nemanja Matic has always been a defensive minded player, but Ander Herrera is more of an all-rounder and has sacrificed some of his attacking instincts to hang back with his Serbian midfield partner, with his absence notable in the last gasp draw with Burnley. That in turn has allowed Pogba the freedom to operate higher up the pitch, which has not only brought out the best in the World Cup winner but he’s also struck up a telepathic relationship with Rashford, with the two combining to score against Leicester for the third time under Solskjaer. They’ve become the most important players under the new regime, but it’s only possible with team players like Herrera doing their bit to provide that platform. It’s hard to be too critical of the young Englishman when he’s in such inspired form, but Rashford needs to work on his heading after spurning another chance of that nature versus Leicester, before going on to dispatch an effort five minutes later with his right boot. It was a free header no less and he’s going to get more opportunities like that playing through the centre, as opposed to being shunted out wide where he’s definitely competent but not devastating. 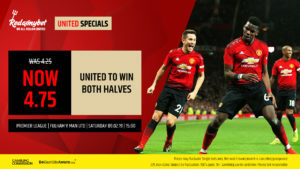 Both Pogba and Rashford have scored six times in eight league games under the new stewardship, while the former also has five assists, and we prefer him at the prices against the leagues’ worst defence.